We like to welcome you at Wasbeekerlaan 53 te Sassenheim ! Tyres, but also A.P.K. , Airco Service, Maintenance & Repair ! A quick look at our occasions ! 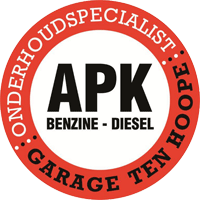 Garage ten Hoope is located at Wasbeekerlaan 53 in Sassenheim since April 2015. In this larger and well-equiped building our staff will be happy to assist you with all of their knowledge, skills, experience & high service level. Since 1988 you can visit us for Maintenance & Repair , A.P.K., Airco Service, Summer & Winter tyres, Towbars, Luggage & Ski boxes and Snow chains. We continously follow and implement the latest developments in car repair and the related services and are therefor able to offer our customers a large range of products & services. Continuous training and educating our staff creates an high and up-to-date knowledge level that's needed in a world called 'Automotive'. In our spacious Reception area you can drink a cup of coffee or tea while waiting until the work on your vehicle is finished. If the work will take longer or you have other duties, we can offer you one of our Service bicycles. We really like to welcome you on your (next) visit to Garage ten Hoope and service you in our own personal & dynamic way !